Are you looking for best cheap laptops under 200 dollars? Finding a budget laptop that can perform quite well for your basic everyday tasks is a daunting task. There are many options available (including Windows and Chromebook laptops) to buy under $200. Most of these budget laptop comes in 11 to 14-inch sizes but there are many more factors to consider such as the processor, battery life, RAM and storage space etc. Here we have compiled a list of top 10 best laptops under $200 that will work perfectly fine for browsing the internet, creating documents and basic programs. Note: All these budget laptops under 200 dollars comes with a limited amount of storage i.e. from 16GB to 32GB at most. To increase your storage (500GB or 1TB), you have to increase your budget. We recommend you check our guide best laptops under 300. By increasing your budget a little more, you can buy a more powerful laptop that these Windows notebooks and Chromebooks. So now, let’s proceed to our list of best cheap laptops under $200. 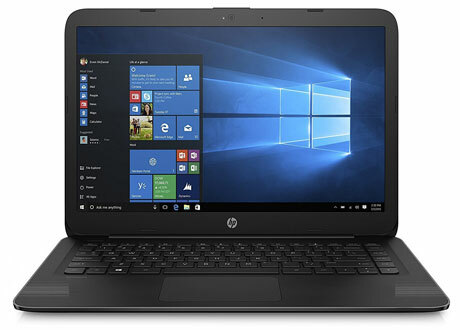 HP laptops always fit into every category whether it is budget laptops, gaming laptops or laptops for students. This laptop from HP comes with a superior build quality and design making it one of the most anticipated laptops under $200. It has 14-inch of diagonal HD display with 1366 x 768 resolution which is perfect for online use. It comes with a full-size island-style keyboard to provide comfortable typing. The HP flagship laptop is powered by Intel Celeron N3060 dual-core processor paired with 4GB DDR3L RAM, both of these are good for performing basic tasks. For storage, it has 32GB of eMMC flash storage that may not be sufficient to store large files and data. You can easily use cloud storage to expand your storage if needed. The battery life is great i.e. up to 8-hours and the laptop weighs only 0.55 lbs making it the most lightweight laptop in 200 dollars price range. Overall, this laptop is a good choice for students to perform basic tasks. 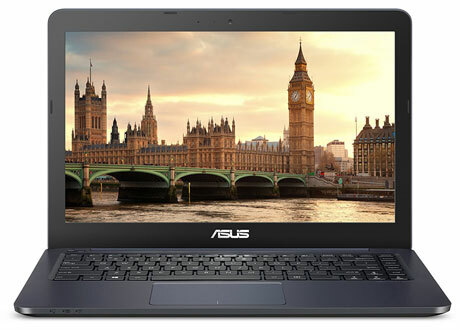 The ASUS L402 is a premium looking lightweight laptop which is worth to buy under 200 dollars. It has a sleek and brushed aluminum lid with dark grey chassis which makes this laptop look premium. The laptop comes with a 4-inch HD display with the resolution of 1366 x 768 pixels. It is powered by AMD E2-6110 quad-core processor paired with 4GB of RAM. This laptop offers fairly standard budget performance and is capable to handle all basic tasks. The quality of touchpad and keyboard of this laptop is quite good that respond well to multi-touch gestures. Although the laptop has a limited storage space i.e. of 32GB you need to use memory card slot to expand its storage further. It has a long battery life of around 10 hours, so you can stay productive for all day. The laptop runs on Windows 10 operating system making it proficient for most of the programs. Overall, this Notebook from ASUS is really one of the best choices you can buy under $200 price range. This is another great laptop in our list of best cheap laptops under 200 dollars. This laptop is finished in Bali blue color and distinct design which gives it an awesome look. It has 11.6-inch HD display having a resolution of 1366 x 768 pixels. Because of anti-glare LED-backlit display, you can use this laptop in direct sunlight places. This laptop is powered by Intel Celeron N3060 processor paired with 4GB RAM and 32GB flash storage offers fast data transfer speeds. For connectivity, the laptop sports USB 3.0, Wi-fi 802.11ac and HDMI ports. Its keypad offers precise pointing and gesture recognition which allow better control over typing. 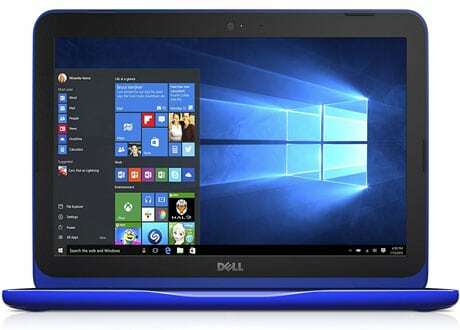 This Dell Inspiron laptop offers a longer battery life up to 9.5-hours making it best laptop for students under $200 price range. It’s rare to find a laptop under 200 dollars which have a full HD display and offer good performance. The Acer Aspire 1 is a 14-inch laptop that comes with 1080p full HD display which is bright and sharp enough to provide quality image experience. The laptop is finished in black color with a sleek-slim design. With Intel Celeron N3450 quad-core processor and 4GB of RAM, you’ll be able to perform most of the basic tasks with no lag performance. It’s 32GB SSD storage is good enough for fast boot times and application loading times, but with only 32GB, you won’t be able to store much on it. The laptop offers up to 9-hours of battery backup and comes with a chiclet-style keyboard and average responding touchpad. For connectivity, it has a decent port selection including HDMI port, USB 3.0 port, and two USB 2.0 ports and an SD card reader. 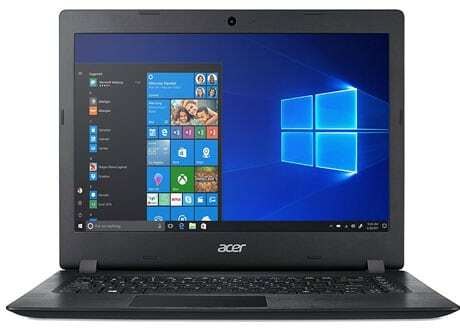 Overall, the Acer Aspire 1 is the best windows laptop under 200 dollars for those who are looking for Full HD resolution laptop within their small budget. The Lenovo IdeaPad N42 is the only Chromebook in our under $200 laptop guide that features 14-inch displays, a size that is mostly preferred by students. This laptop comes with a sleek, beautiful and well-built design that is finished in a dark grey color. It has a 14-inch full HD display with the resolution of 1366 x 768 pixels, which is fairly standard in this price range. The Intel Celeron N3060 dual-core processor and 4GB RAM are really not best for fast performance, but you will be able to do most of the basic tasks like web browsing and watching videos etc. It offers only 16GB of flash storage, so you need to use Google Drive to store all your files and folders. It has a range of connectivity options including USB Type-C, USB 3.0, HDMI port and SD card reader. With long-lasting battery life, HD display and lightweight design the Lenovo IdeaPad N42 is one of the top-selling Chromebook available in the market. 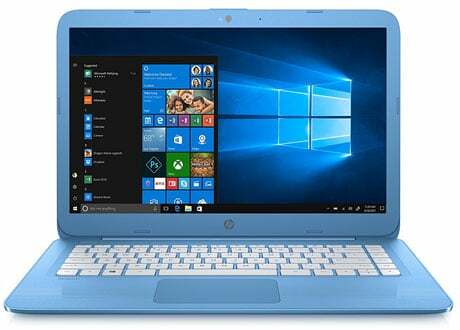 If you are looking for a potable budget Windows laptop that offers simplicity and performance at the same time, then the HP Stream 14 is the best laptop in $200 price range. It comes with a 14-inch HD WLED-backlit display which is perfect for working in sunlight conditions. It has Intel dual-core Celeron N3060 processor with 4GB RAM making it suitable for day-to-day tasks. With 32GB of flash storage, you’ll be able to store your necessary files and folders. You can also use memory card reader to expand the storage if needed. Running on Windows 10, you can enjoy all the new features and programs. It’s 10.5-hours of long battery backup and lightweight design is great for college students and people who are on the go. It comes with 2 USB 3.1 port, HDMI port and an SD card slot for connectivity. All-in-all, the HP Stream 14 is a budget-friendly laptop offers a simple user experience that might put an end to your search for best cheap laptops under 200 dollars. The Acer Chromebook is one of the best selling notebooks to buy under $200 budget range. With 11.6-inch display and 2.2lbs weight, making it an ultraportable laptop that you can take anywhere with you. From build quality to performance this Chromebook is perfect to get most of the things done for you. It comes with a chicklet keyboard and a smooth touchpad giving a better user experience while working. 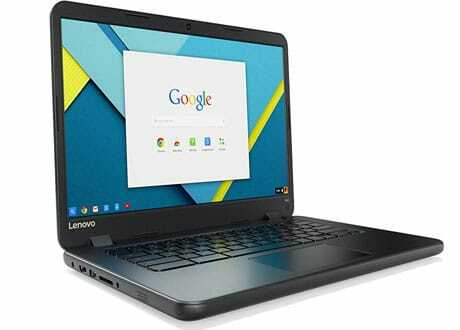 It comes with preinstalled Google Chrome operating system and powered by Intel dual-core Celeron N3060 processor. Its 4GB of DDR3L RAM allows for some reasonable multitasking. The 16GB of flash storage may not be enough for loading large files and folders so you need to use Google cloud storage to expand the storage limit. Overall, with a strong build quality and lightweight design, the Acer Chromebook C202 is a well-suited laptop to school kids or college students for under $200 price range. This Samsung Chromebook 3 comes with a sleek and beautiful design making it a great laptop for budget buyers in 2019. The laptop comes with an all-black chassis and matte black covers giving it a premium feel. 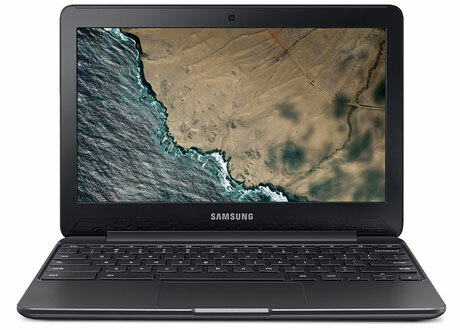 Samsung Chromebook 3 has an 11-inch HD display with a resolution of 1366×768 like other Chromebooks in this guide. Talking about its other hardware specifications, the laptop is powered by Intel Celeron processor and comes with 4GB of RAM. The 16GB of solid-state drive storage offers lighting fast data transfer speeds but you have to deal with the limited storage space. 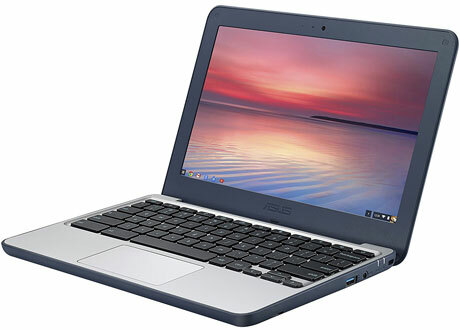 The Chromebook is featured with all essential ports like HDMI, USB 3.0, USB 2.0 and 3.5mm headphone jack to provide connectivity. The Chromebook 3 offers great battery life and can run up to 11-hours which makes it a great laptop for school and college students who are looking for a best cheap laptop under 200 dollars. This is another reliable laptop from HP available under $200 price range. 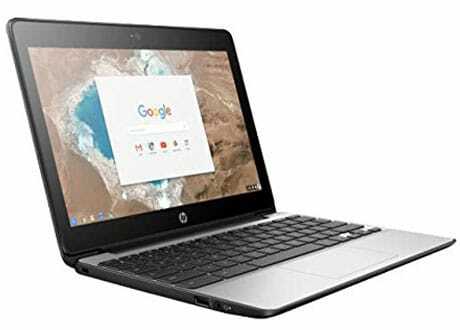 The HP Chromebook comes with a simple and lightweight design which is simply perfect for students and internet related businessmen. The laptop has a 11.6-inch HD display which allows you to use it in sunlight as well. The Intel Celeron processor and 4GB of RAM are enough for accomplishing the everyday tasks. The 16GB eMMC SSD drive is fast which is good for running applications fast. You will also get 100GB of free Google Drive space and memory card slot to expand the memory. It has a chiclet keyboard that is said to be decent in terms of comfort. The battery life of HP Chromebook 11 is really appreciable, almost 12.83 hours, so no need of carrying the charger everywhere. Weighing in at just 3.9 pounds, the HP Chromebook 11 is perfect for students and businessmen under $200 budget range. 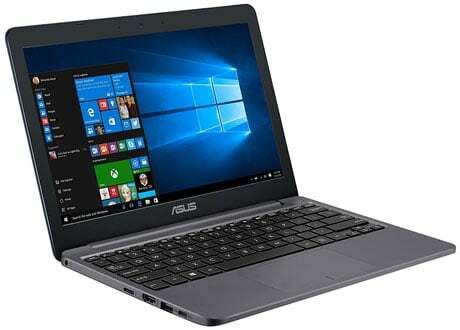 This is the another good performing Windows laptop from ASUS available under 200 dollars. ASUS VivoBook E203NA is a great Windows 10 budget laptop and entry-level tablet. Sporting an Intel dual-core Celeron processor and 4GB of RAM, it is good enough for performing all day-to-day tasks. It comes with 64GB of flash storage which is not too much but it is still good storage space you will find under $200 price range as compared to other laptops on this list. It comes with 11.6-inch HD display offers a maximum resolution of 1366×768 which is standard on cheaper laptops. With 2.2lbs lightweight design, large storage space and long battery life, the ASUS VivoBook E203NA are one of the most recommended cheap laptops to buy under 200 dollars in 2019. These are the top recommended cheap laptops to buy under 200 dollars. So before buying any laptop, read reviews and hardware specifications to ensure the quality of the product and choose the laptop which suits your requirements. I hope you like this review guide of best laptops under 200 dollars. If you have any doubts or any suggestions about the budget laptops, feel free to ask in the comment section below.